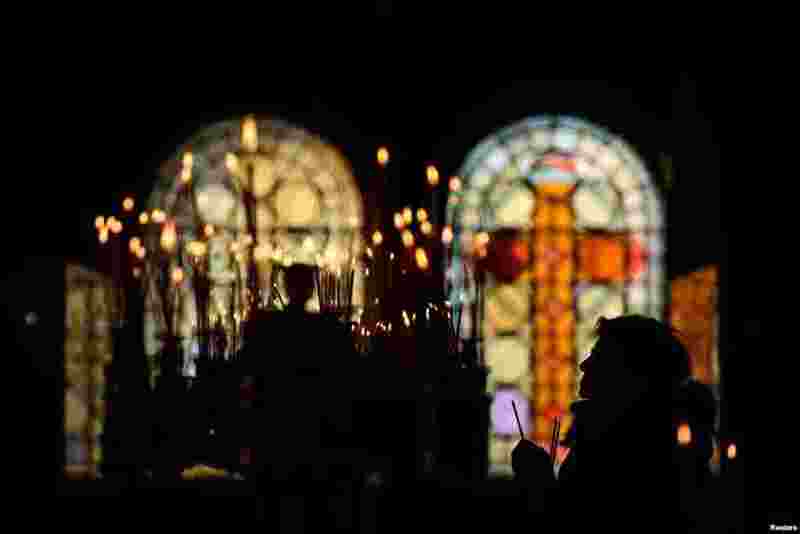 1 A woman attends Christmas Mass at St. Alexander Nevski cathedral in Sofia, Bulgaria. 2 Front from left: Prince Charles, Queen Elizabeth II and Prince Philip. 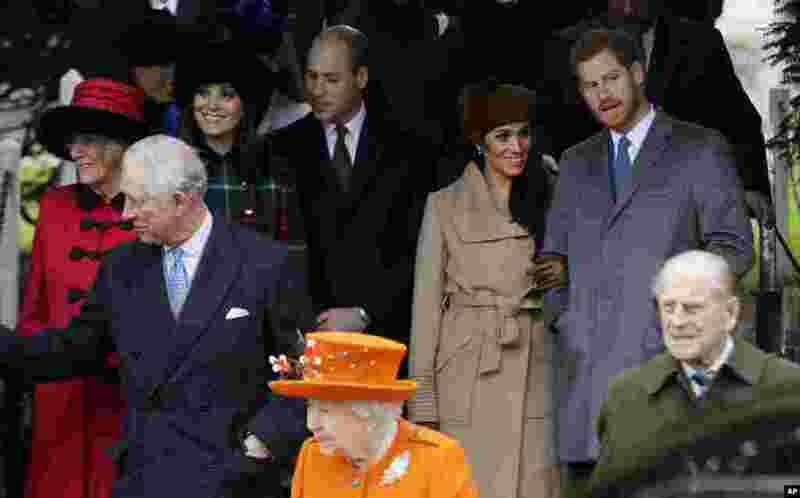 Rear From left, Camilla, Duchess of Cornwall, Kate, Duchess of Cambridge, Price William, Meghan Markle, and her fiancee Prince Harry, right, leave after the traditional Christmas Day church service, at St. Mary Magdalene Church in Sandringham, England. 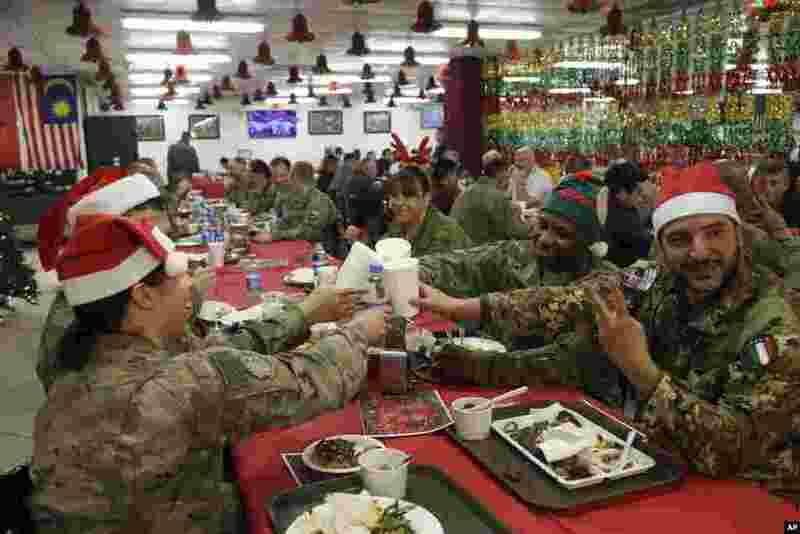 3 Members of the U.S. military eat Christmas dinner at the Resolute Support Headquarters in Kabul, Afghanistan. 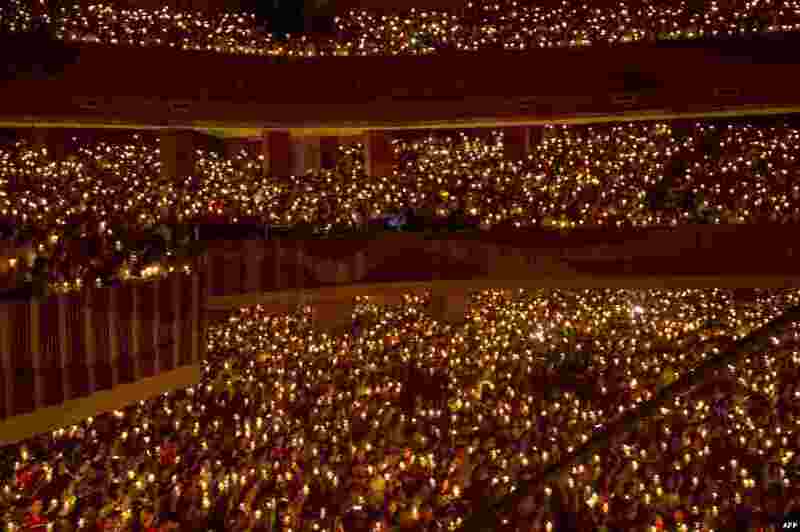 4 Christians attend Christmas Eve Mass at a stadium in Surabaya, Indonesia's second largest city, Dec. 24, 2017.